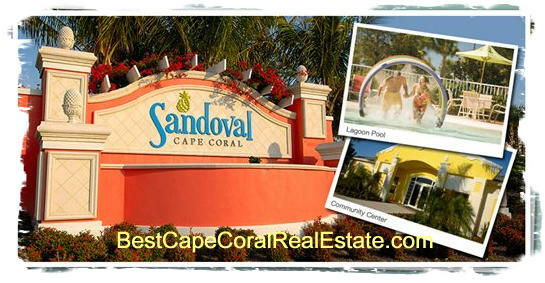 Sandoval, Cape Coral, Florida 33991 is a Beautiful 524 acres planned home community. Children’s splash pool with water slide. There is also featured a Quiet Cove for leisurely reflection. If you need more information about Sandoval homes or other Cape Coral Real Estate, feel free to Contact Shellstar Realty. Our Realtors Have several years experience and can help you obtain the best price on your real estate purchase!! Sandoval Homes, Cape Coral Florida – Easy to use and Up to Date MLS search!